Renowned preacher and the founder of Uma Ukpai Evangelistic Association (UUEA), Reverend Dr Uma Ukpai, has revealed why the Igbo people lost in the 1967-1970 Civil war, explaining that there were gross immorality among Biafran leaders during the war, KINGSLEY IWU exclusively reports. 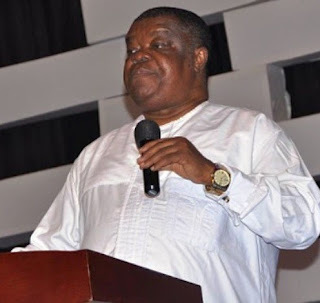 72-year-old Dr Uma who made the revelation in a sermon titled, "Father's Blessing" shed tears during the sermon, saying he sometimes ask God why he is an Igbo man. The preacher in the sermon blasted the Igbo people for being arrogant and proud, explaining that even if he preaches till tomorrow, the Igbo man will never shed tears because his heart is hard. Revd Uma said that during the war, the Biafran leader never seek God for victory and never made any prayers during the war, describing Biafrans as Judah in the bible. He further explained that Judah after committing sin- in the bible- will go back to God for repentance, but the Biafrans never went back to God. The preacher said he would not call names but if he calls, he would tell the congregations the number of women the Biafran leaders were carrying at once during the war, explaining that sometimes, a Biafran Soldier would capture a lady because she is beautiful. He however went on to commend the Igbo people for being wise, knowledgeable, hardworking, but yet many crawl through life because they fail to acknowledge God. "And even after the war, no one has asked why we lost the war", Uma Ukpai said.